WITH OVER 28 YEARS OF EXPERIENCE, SCOTT CARVER IS NO STRANGER TO THE CONSTRUCTION INDUSTRY. Whether it was building doghouses in his backyard or Wood Shop in school, he excelled in construction from an early age. His interest in the craft turned into a career when he moved to California to learn the trade hands-on building houses. Scott had the opportunity to go work for Ambler Steel Buildings in Chandler, OK in 1991. Under the direction of Skip Ambler, Scott learned the importance of building relationships with other employees and subcontractors. As Sales Manager, Scott learned what to do (and more importantly, what not to do) in the business of construction. In just a couple of years as Sales Manager, Scott helped Ambler Steel grow from a $1.2 million to $4 million dollars annually. In the years following, Scott increased his working knowledge of commercial building construction to include advertising, marketing, detail estimating, budget and cost control, leadership, team building, project management and operations. In 1999, Scott with the help of his wife, Dana, decided to go out on their own and start Oklahoma Steel Building Systems in Chandler, Oklahoma specializing in General Contracting, Turn-key, Design Building and Project Management in the pre-engineered steel building industry. Since its inception, Oklahoma Steel Building Systems has built over 500 metal buildings across the state of Oklahoma. 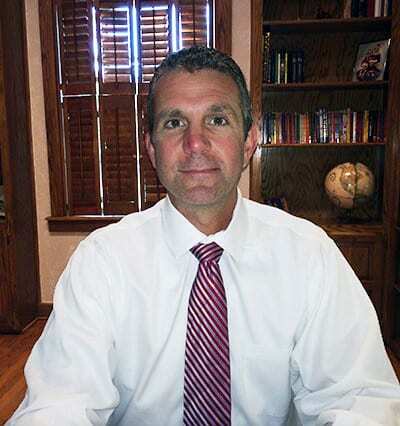 Scott’s love for the construction industry has resulted in satisfied building owners ranging from commercial, industrial, agricultural, oil-field, warehouse, retail, churches and more.